This trend is by no means slowing down—but now that we’re well into the beginning of 2019, there are some other trends that seem to be on the horizon that small businesses and startups should pay attention to. Let’s talk about four of the big ones. Ecommerce is expected to continue its upward growth trend well into 2019 and beyond. 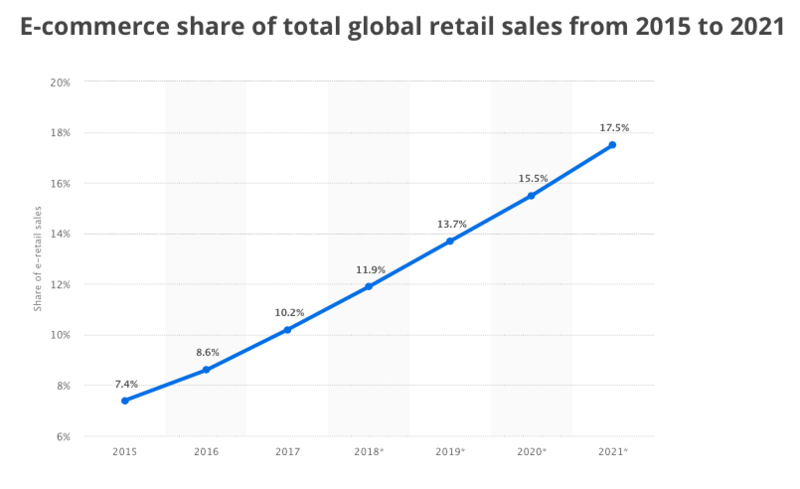 Global online sales are projected to hit over $3.4 billion by the end of the year, and the numbers are expected to exceed $4 billion by 2020. Expanding into a global market is a great opportunity for many online businesses to grow their reach and make more sales. However, international business is full of logistical issues, and this can certainly pose a huge problem for smaller online entities. Drop shipping has been a popular low investment (cost) business idea for many years in the ecommerce realm. 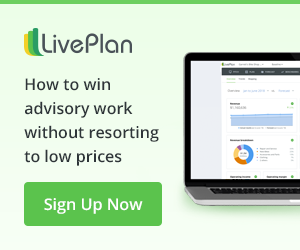 The prospect of not worrying about inventory management makes this a dream for many online entrepreneurs who are looking for ways to automate their business. This trend is also expected to continue right along with global growth simply because it makes sense to the bottom line. A good drop shipping collaboration allows you to run your online company remotely and sell to virtually any market overseas. The drop shipper takes care of inventory, packaging, and shipping for you. And the best part? You get to keep the profit. However, being a successful drop shipping store while still standing out from the crowd is the trick to making this trend work in your favor. The key here is to ensure that your website is offering a great user experience and that your ecommerce platform is able to accommodate international demands. Furthermore, online business owners will need to find reliable drop shippers that can be trusted with increasing global demands. 2018 exposed a lot of sketchiness in data security. Last year, 4.5 billion records were compromised and over 945 data breaches were reported. More and more consumers have had their personal information stolen or leaked, causing many to be concerned with how safe their data actually is when they shop online. In 2019 and beyond, businesses need to be more transparent while giving their customers more control over their personal data and how it’s used. Companies can actually benefit from sharing information about the security systems that are in place so customers don’t have to worry about risks associated with payment processing. 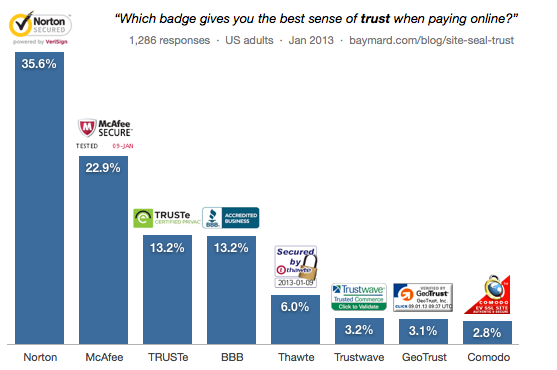 Online retailers should display trust badges that showcase data protection and ensure SSL encryption for all payment processes. Gathering and using your customers personal and financial information is a privilege and not a right. The best approach that online companies should take here is an opt-in button that gives customers more control over the kind of data that will be tracked and shared during their online interactions, like the retailer Cutterbuck does on their homepage. Customers are more likely to allow brands to track their data if they are asked permission to do so, so this approach actually helps Cutterbuck to collect more customer data. As the paying power of the Millennial consumer group grows even stronger in 2019, many brands are scrambling to find ways to capture their attention. One of the most effective ways to build loyalty with younger consumers is through cause marketing. According to a report from Medium, Millennials are more likely to buy from a brand that supports a good cause and they hope to see more corporate social responsibility in the future. Thanks to social media, the line between business and social issues is more blurred than ever. Brands will need to shift the focus of their marketing towards the greater good if they want to cultivate loyalty and advocacy with younger buyers. Of course, make sure that your brand’s commitment to a social cause is genuine. Building awareness and using this trend only to attract more sales could end up doing more damage to your brand than good. Ryan and Katie Linnell, owners of ShelfGenie in Colorado Springs, do an excellent job of giving back to their community. They work concurrently with Homes for Our Troops building houses designed for severely injured service members. As Colorado Springs is home to several military bases, this is a very relevant and powerful way for ShelfGenie to get involved in the community and make a positive difference. Whatever cause you choose to support, there needs to be clear overlap and genuine devotion. Online personalization has come a long way in recent years. Personalized products now go far beyond a custom print product or curated product suggestion list. With the popularity of customized services, such as subscription boxes or hyper-personalized health products, customers are expecting much more from online businesses than ever before. Companies will certainly need to step up their game in 2019 to keep up with the type of personalization that customers are demanding. Customers love the convenience of ecommerce but also want the personal feeling of brick and mortar stores. M Tailor combines the benefits of having a personal tailor that measures each customer for perfectly fitted clothes with the convenience of in-home technology. Their app uses VR to analyze the user’s dimensions and offers clothing color and fabric options to create an outfit that is customized just for them. Basic personalization is not going to cut it in 2019. Companies will need to find a way to offer a customized competitive advantage and up the ante with unique services that speak to the individual consumer. 2019 is already shaping up to be an exciting year for businesses. Consumers’ opinions and desires will become more important and influential than ever before. Business leaders should take note of this trend and use it to offer better experiences, such as adjusting their business structure to reach overseas customers, supporting important social issues, or offering hyper-personalized experiences. As always, the customer is going to determine which trends stay and which ones go. As brands start to incorporate these new approaches, it will be interesting to see just how consumers react and what further innovations will start to emerge.